For many travelers, the journey is as much about the spirit as it is about the body. The journey begins here. 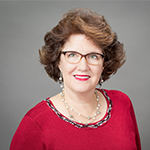 The Faith Travel Association is a worldwide community of tour operators, travel agents, destinations and travel suppliers serving the faith-based travel market. The World Tourism Organization estimates that approximately 330 million tourists visit the world’s key religious sites every year. Faith-based travel includes pilgrimages, leisure trips, getaways, adventure and active travel, conferences, events, missions, humanitarian trips and more. 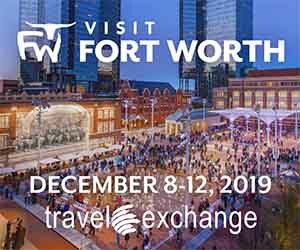 NTA members can add a suite of FTA benefits focused on the faith-based travel segment to their annual membership subscription. Trip Planner for Faith-based Travel reaches people of faith who journey together to festivals, conferences, mission trips and retreats. You can read the latest issue here. 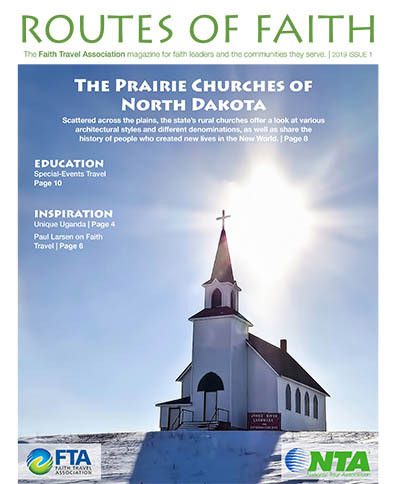 Routes of Faith is the quarterly publication of Faith Travel Association, blending articles that educate and inspire as well as share the many destinations offered by FTA members. Our publication works to bridge the gap between our tour operators, suppliers, agents and DMOs with faith leaders around the world. By offering stories that inspire leaders of all faiths to promote travel as a tool for spiritual growth, we help churches enjoy greater cultural awareness and growth. Routes of Faith also provides articles that educate readers to new and innovative ways to travel, including eco-friendly and sustainable trends.